Willowbrook Rotarians are enjoying coffee and bagels during the regular Saturday morning make-up session. Here they are discussing how Rotary is "THIS CLOSE" to eliminating Polio in those endemic countries where it still is active. Rotary International supported by donations from Rotary Clubs worldwide and in partnership with the World Health Organization and Gates Foundation sponsors immunization programs planned to eliminate the Polio virus. 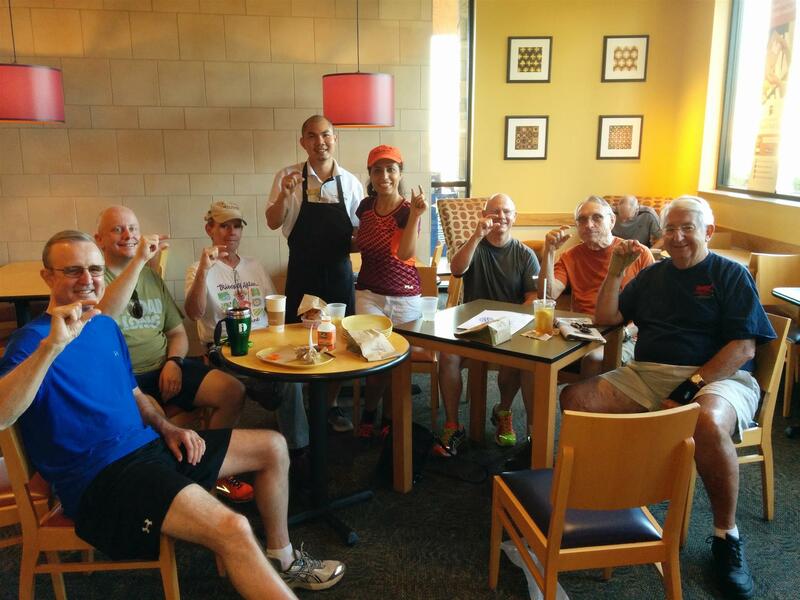 WRC Rotarians often join together at 8AM on Saturday mornings at Panera Bread (6915 FM 1960) for fellowship. The club allows Rotarians at this gathering to count this as a make-up when they must miss a regular meeting given that at least 5 Rotarians were present and Rotary business is discussed.